Tagsa supporting the people of Uist for 19 yrs . . .
Community Transport . . .
Tagsa’s community transport operation provides a large fleet of people carrying vehicles covering the whole of the Uist’s and Benbecula. A number of the vehicles enable wheelchair access and have rear lifts in place. We operate a diverse range of services including Dial-A-Bus, Shopping, School Runs and Social Outings and each of our vehicles are available to other community-based organisations to support their transport needs. When not in use our vehicles are available to other local community groups at very reasonable rates. We can arrange for vehicles to be hired out with or without a driver and / or passenger assistant. Our drivers and passenger assistants are trained in supporting those using our vehicles and offer a personalised service when need is identified with individual clients. Tagsa operates 7 distinct shopping services covering different local areas of Uist and Benbecula. In addition to the driver, a passenger assistant is on the bus to provide help and support for those who require it. Each service operates weekly at a cost to the user of £5 per trip. 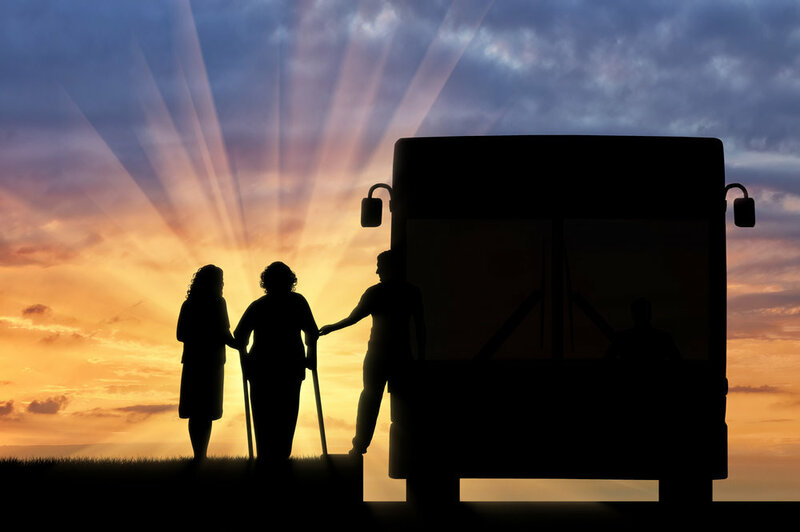 Tagsa operate a Dial-A-Bus service throughout the islands enabling clients to attend medical appointments, day care, adult learning and access services such as respite care. Dial-A-Bus is available to our clients at a cost of £1.25 per mile.